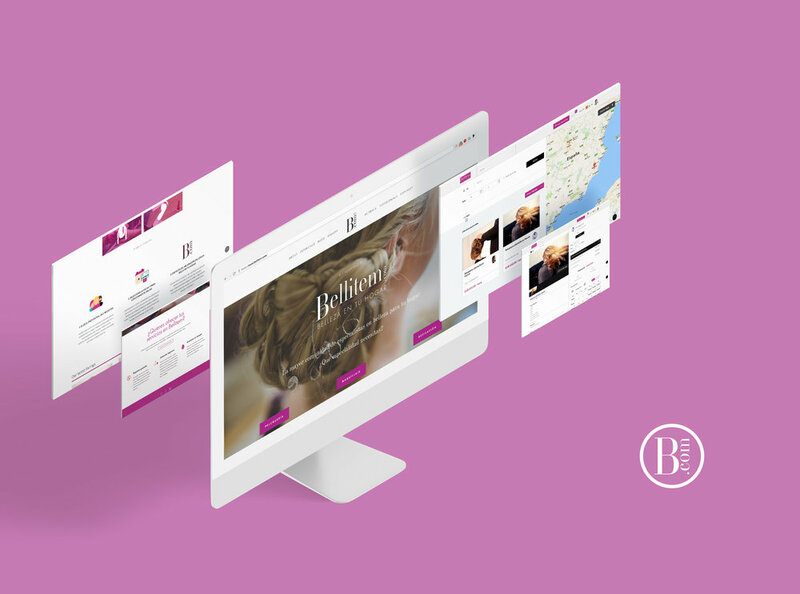 Bellitem is an exciting marketplace project that will allow beauty professionals at home to meet the best clients. The platform allows you to register for free and offer services ranging from hairdressing, manicure or makeup to diet. All beauty services at home. Clients can search for the services on a map, easily finding his nearest professional. They can also explore images of the services as well as reading trusted opinions of other clients. Once the decision is made they can make an appointment by chatting with the professional and finally paying with all the guarantees through the platform with their own credit card and from the comfort of their home. The professional will come on the day and time specified to the place that the client needs, it's that simple. 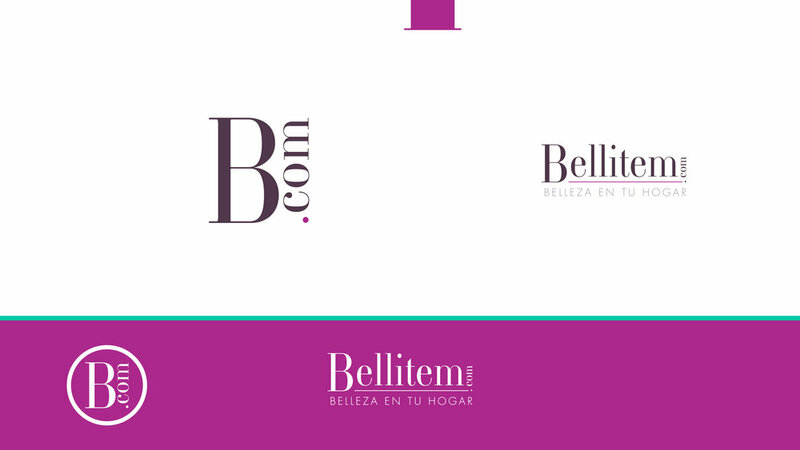 Bellitem needed an elegant and at the same time differentiating image. The color tones are extracted directly from the most subtle and beautiful makeup palettes. The logo also needed a stylized and elegant typography, Ambroise light. The icon set has been constructed based on simple but effective and logical forms. It has a balanced combination of the brand colors highlighting especially the corporate purple. 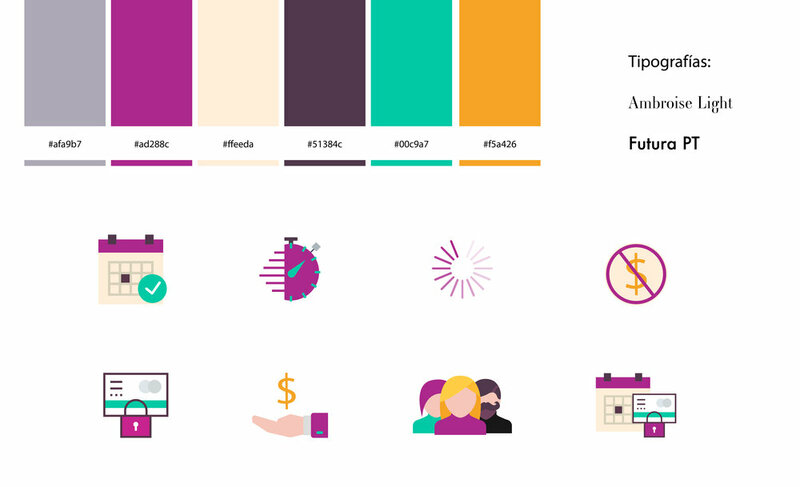 Icons are made on flat design style with no gradients and cutting shapes and straight edges. Images associated with the brand seek to transmit the highest quality of the professionals of the platform at the disposal client's houses. The project is based on two web pages. First one is hosted at squarespace. It contains all the project information, manuals as well as an important blog. The blog is one of the most important elements for the spreading and growth of the project. The second multi-language page is the online platform of the marketplace that allows the operation of the project. It is based on the Arcadier platform and allows online registration and the agile operation of the project. Contains secure payment gateways, online chat, valuation of services, user registration, active calendar and a long etc. Bellitem was born in a revolutionary moment of the consumption of home services. 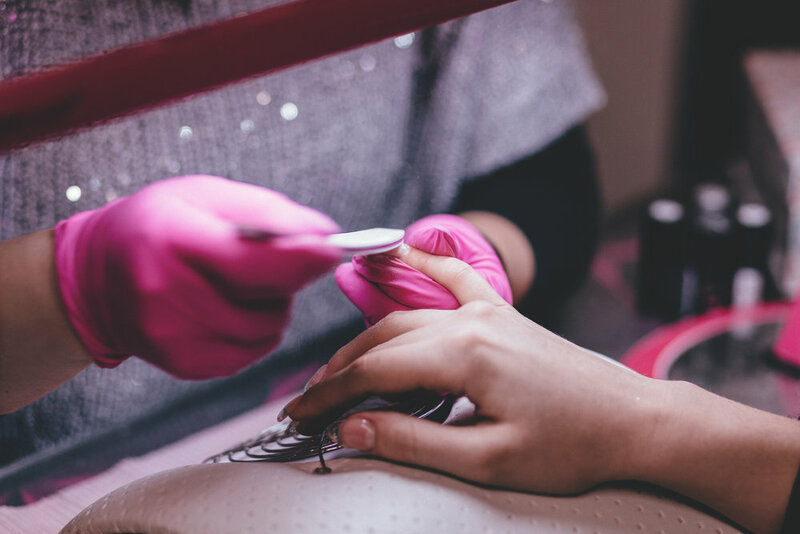 It seeks to serve as an effective and useful tool capable of connecting millions of clients with expert beauty professionals who will be able to offer their services with the highest quality and in the warmth of home.